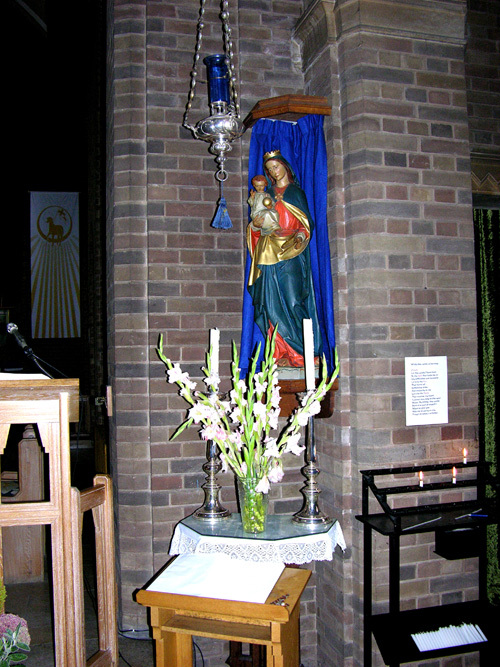 A painted carved wooden figure approximately 45 inches high, Madonna and Child, is displayed at the right hand side of the chancel entrance. The work has been verified as being over 200 years old, and to originate in the Austrian Tyrol. It was presented to the church by the architect, Mr C Howitt who had owned it for several years, storing it at his office. 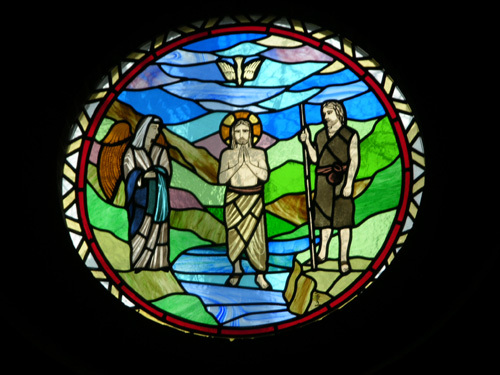 Two circular coloured glass, leaded windows, depicting the baptism of Christ and the innunciation were installed as a memorial to a parishioner in 1992. They are located in the west corner on the north and south walls. 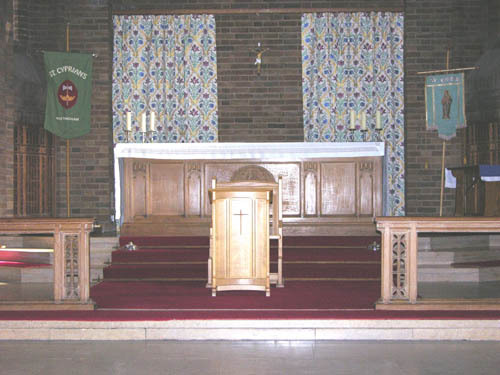 The altar is constructed of limed oak. A central panel, inset with a depiction of a seated St Cyprian, occupies half the altar front, with smaller plain panels on both sides separated by narrow raised panels. Raised upon three full-width steps and approached over a red carpet, the altar with minimal adornment quietly dominates the church from whichever point it is viewed. 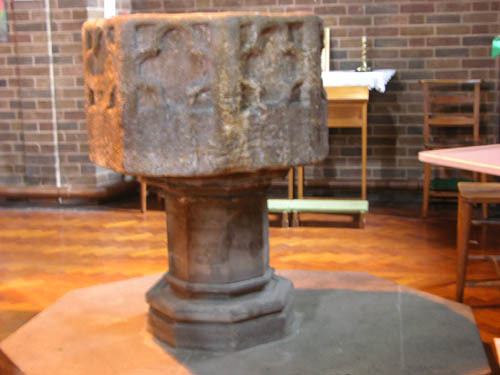 The font is the oldest item in the church. It is believed to be 13th/14th Century and is reputed to have been found in a field between Gedling and Shelford. At the time of its discovery it was in use as a horse trough.The damage on the rim is attributed to contact with the horses' tack. The font's original location is thought to have been Saxondale Chapel, which was part of Shelford Priory. The chapel was demolished to save the costs of its upkeep some time in the 15th Century. 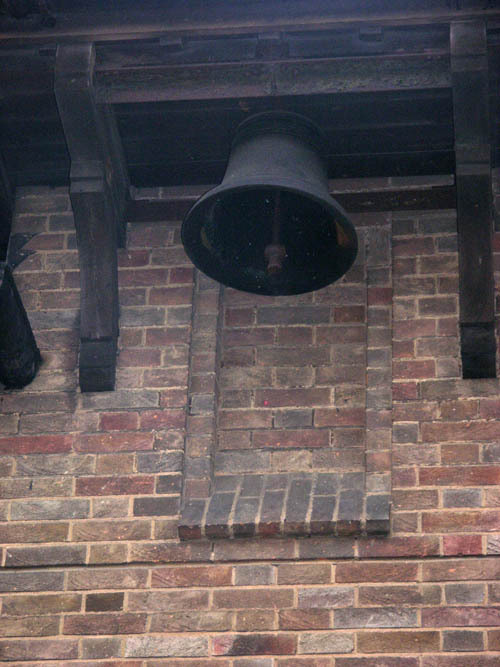 A small single bell is hung for swing chiming in an external bell frame on the North wall. The bell rope is directed internally into the choir vestry. The bell is sized 20", weight 1.2.18. It is dated 1913, but there is no other inscription. This small Taylor bell was originally hung in the old church building and was transferred to the new church in 1935. It is reported to be cracked. 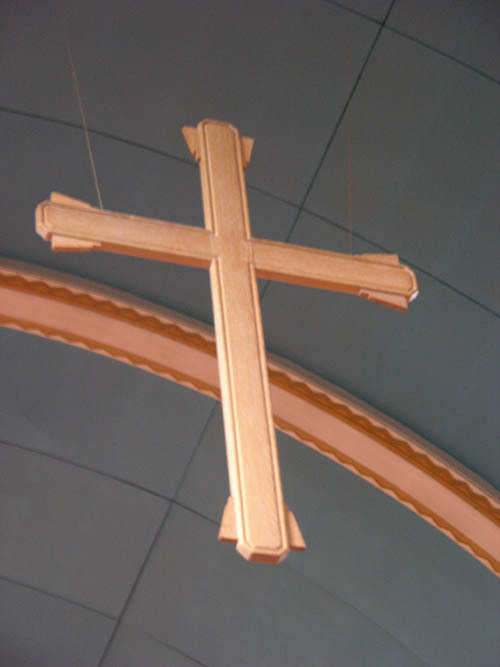 The latest addition to the church is a new limed oak cross suspended from the nave ceiling at the entrance to the chancel. 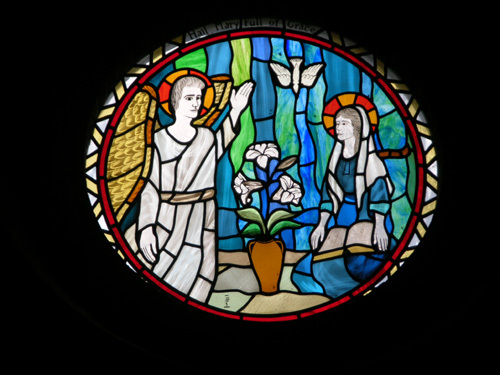 This was carved by Mr John Heaps, a parishioner, and installed in December 2002. A war memorial is located in the northwest corner of the church recording details of men who died in World War I. Their regimental details have been researched and recorded. It is inscribed with the following text. "To the Glory of God and in Grateful memory of those who gave their lives for King and Country in the Great War 1914-1919 Grant them O Lord eternal rest and let light perpetual shine upon them"